TUI Group’s three cruise brands – TUI Cruises, Marella Cruises and Hapag-Lloyd Cruises – delivered an impressive third quarter performance, according to a TUI Group presentation. 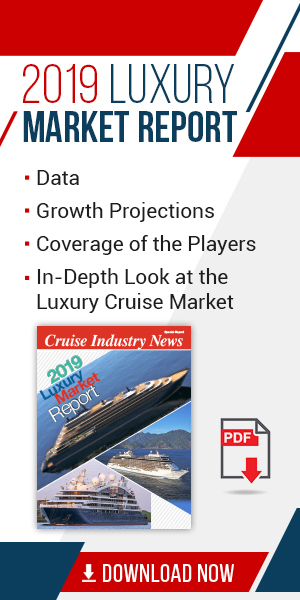 “Cruises delivered a very strong performance in Q3, with additional capacity in TUI and Marella Cruises, and a significant increase in yield in all three brands reflecting the strength of demand, the benefit of new ship launches and improvement in itinerary mix,” the company said. TUI saw its cruise turnover increase to 227 million euro from 214 million euro. The average daily rate rose from 183 euro to 200 euro on the TUI brand; while Marella also posted a notable increase, going from 126 euro to 138 euro and Hapag-Lloyd continued to deliver, going from an average daily rate of 562 euro to 571 euro, while increasing occupancy to 75.6 percent from 73.1 percent. As the Marella Spirit exists the fleet in November, the Marella brand will become fully inclusive starting in 2019, the company said. Hapag-Lloyd will get two new expedition newbuilds in 2019, followed by a third sister ship in 2021. At the TUI brand, new ships will follow in 2019, 2023, 2024 and 2026.